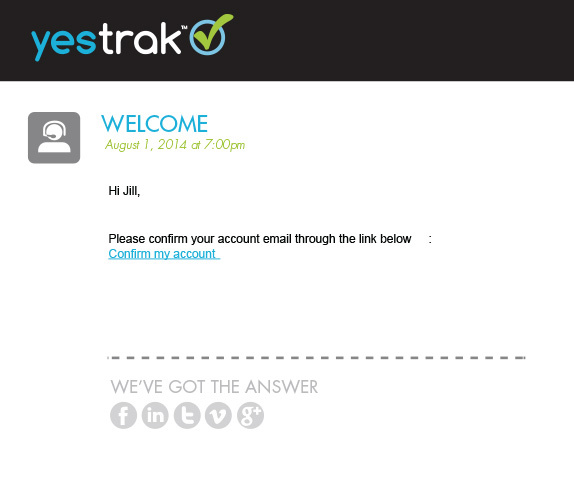 After subscribing to YesTrak, you’ll be sent an email to confirm you account. Check your in-box for this confirmation email. If you don’t see it, please check your SPAM or Junk folder. Once your account is confirmed you’ll create your subdomain in the next step. Create Your Custom Web Address:. Your sub-domain is unique within the YesTrak database. It will be something like this: http://yourcompany.yestak.com. Bookmark this url address for easy access to your account. Enter the username and password created at this step to login to your account.